Fair trade cotton crochet carrot baby rattle. 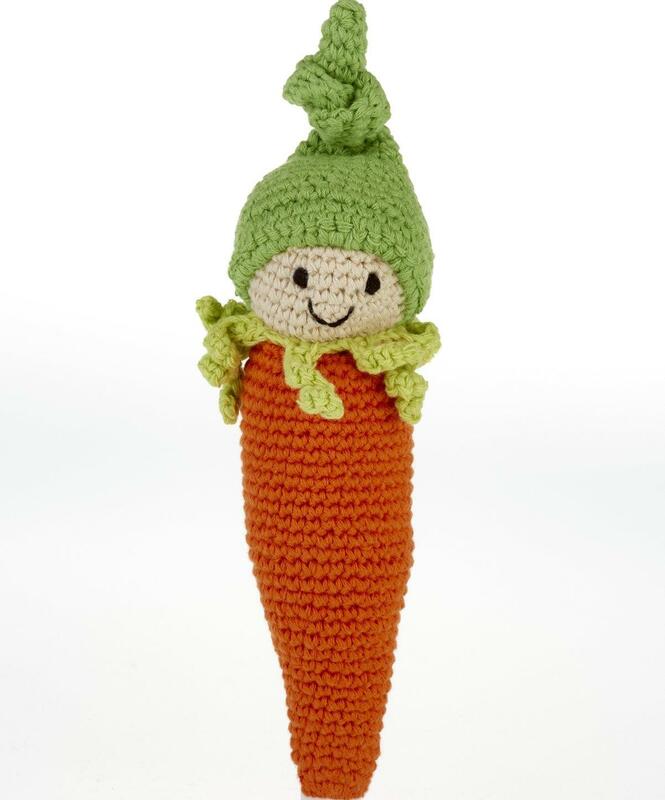 This cute carrot baby is part of friendly vegetable baby rattle range. These crochet vegetable rattles are suitable from birth and machine washable. They make ideal baby soft toys and as your baby grows and develops imaginative play, these carrot baby toys make fabulous baby kitchen toys as your baby develops into imaginative play.